MIP X-Duty CVD Kit for the Vaterra Halix « Big Squid RC – RC Car and Truck News, Reviews, Videos, and More! 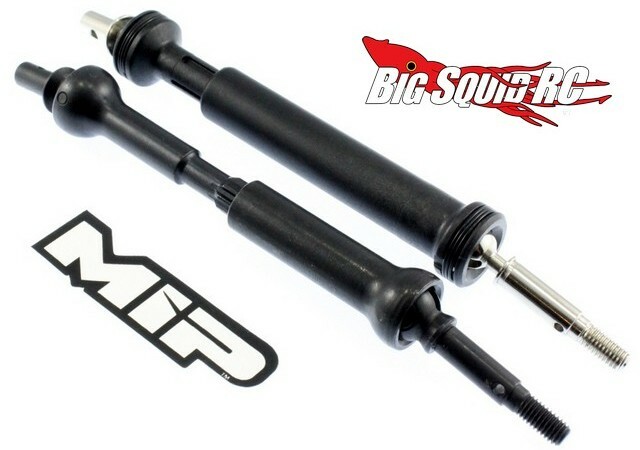 All you Vaterra Halix owners can now rejoice, the crew over at MIP have designed some ultra-durable CVDs for your truck. The units that MIP designed for the Halix feature splined telescoping shafts that should handle a lot more power than stock without breakage. The part number is #14185, they have a retail price of $80, and you can get more information at This Link over on the MIP website. Click Here for the first TGIF Mystery Link of the day.